a boy and an endearing, rhyme-spouting bear, who squires him through a fatastic world of berries. And their adventure comes to a razzamatazz finale under a starberry sky. 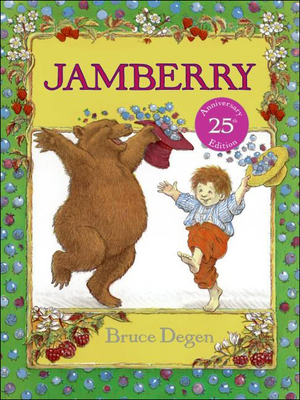 Children will want to feast again and again on Bruce Degen's exuberant, colorful pictures and his rollicking berryful rhymes.